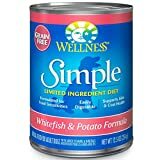 Wellness Simple Natural Limited Ingredient Wet Canned Dog Food is healthy, natural limited ingredient diet dog food formulated for allergy prone adult dogs or adult dogs with food sensitivities, allergies or ingredient intolerances. Wellness Simple Limited Ingredient Diet dog food formulas keep it simple with a balance of single source of protein and easily digestible carbohydrates, without extra fillers or additives, including no meat by-products, wheat, corn, dairy, eggs, artificial preservatives, colors or flavors. 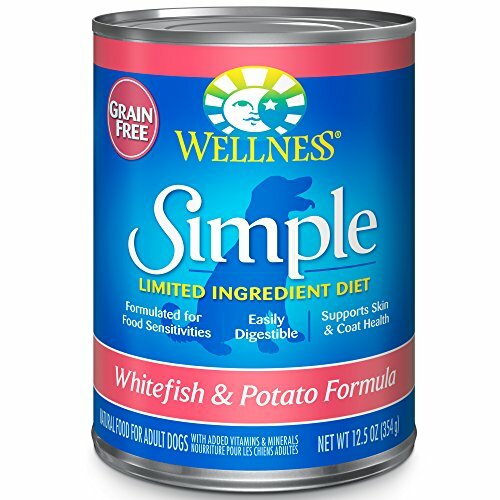 Wellness Simple Limited Ingredient Wet Canned Dog Food is a natural alternative to the therapeutic diets most commonly prescribed to dogs with food allergies and food sensitivities. Dogs with food allergies and/or food sensitivities should always be under the care of their veterinarian. Wellness Simple Natural Limited Ingredient Dry Dog Food is healthy, natural limited ingredient diet dog food formulated for allergy prone adult dogs or adult dogs with food sensitivities, allergies or ingredient intolerances. 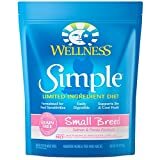 Wellness Simple Limited Ingredient Diet dog food formulas keep it simple with a balance of single source of protein and easily digestible carbohydrates, without extra fillers or additives, including no meat by-products, wheat, corn, dairy, eggs, artificial preservatives, colors or flavors. Wellness Simple Limited Ingredient Dry Dog Food is a natural alternative to the therapeutic diets most commonly prescribed to dogs with food allergies and food sensitivities. Dogs with food allergies and food sensitivities should always be under the care of their veterinarian. Copyright © 2015 OrganicDogFoodDeals.com. All rights reserved.